Today our adventures in Berlin took us through some of the city’s most famous historical sites. Our tour guide, Kathinka Minthe, walked us through many parts of the city, teaching us about the history, social discourse, and controversy that each place held. We started at the Reichstag Building, home to the German Parliament and finished at Museum Island where we saw Angela Merkel’s home. We visited the Brandenburg Gate, walked through Tiergarten, and explored The Memorial for the Murdered Jews. We walked along Hannah Arendt Straße to get to the site of Hitler’s old bunker, now a parking lot, and later saw Detlev-Rohwedder-Haus, a section of the old Berlin wall. Around the corner was the Topographie of Terror and Checkpoint Charlie, the site of a historic standoff. We wrapped up at the site of the infamous book burning, across the street from the Käthe Kollwitz Museum. 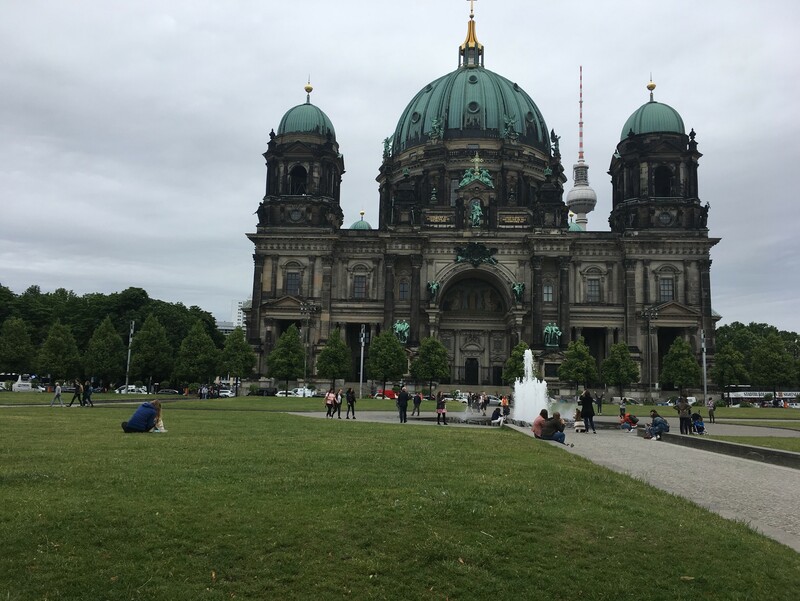 The focus of our tour was to examine the ways in which these historical landmarks allowed us to discuss some of the “hidden” women of Berlin’s intricate history. One of the topics discussed was remembering history without memorializing all of it. 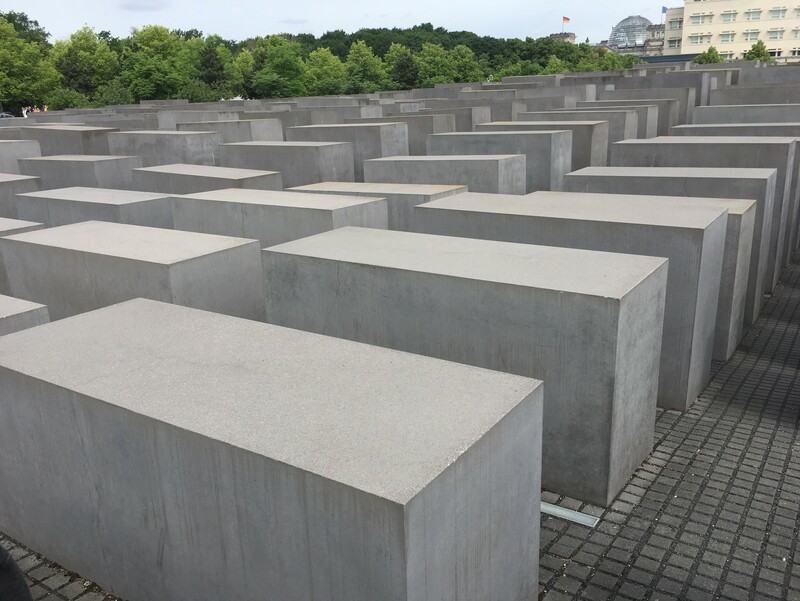 When you visit Germany, the first thing many American visitors think about are the sites where World War II, Nazis, and Hitler stood not so long ago. This horrific history is something every German citizen acknowledges and learns about, but many of the actual sites that had been part of the war are now new or renovated. The historical relevance of the war is not lost on people today. As Michael Stewart writes in Remembering without Commemoration: The Mnemonics and Politics of Holocaust Memories among European Roma, “I came to feel that for many people, the memory of the entire war was condensed into a few images that were normally kept deep in the shadows of the cave, illuminated occasionally and incandescently before being enveloped gain in the penumbra of the past.” While this is a history that Berlin wants to make sure to remember, when it comes to memorializing an atrocity it is hard to find “positive” ways to do this. It seems to me that the people of Berlin are in a constant struggle between remembering and acknowledging atrocities without glorifying those who committed them. We cannot forget the actions of Hitler and the Nazis, but at the same time, Berlin must be able to grow and develop. The people of Berlin have made the conscious decision to memorialize some and destroy others. The sites most often destroyed were those with ties to the Nazi party to deter neo-Nazis from using the places as a pilgrimage sites. A surreal moment during our tour was when we visited Checkpoint Charlie. None of the historical or original buildings are there at all. What remains are tourist-oriented museums designed to attract. The streets are full of stereotypical USSR and fake communist propaganda for sale. It was a space flooded with tourists hoping to see a piece of history. In the middle of the street a fake USSR checkpoint hut stands for people to take pictures with, of course only if they are willing to pay a fee. The line to take pictures by the hut stretched over a block and almost every tourist held in hand some piece of fake propaganda or were adorned in Cold War uniform replicas. It seemed like a cheesy a commodification not only of a difficult history, but also of the German/Soviet. Watching people capitalize on the hardships of millions left a pit in my stomach. Further, the little proof we saw of accomplished women was hard to find and are usually newer and smaller. For example, during our tour on Tuesday, Carolyn Gammon showed us that the women’s wing in Humboldt University was only a tiny hallway. 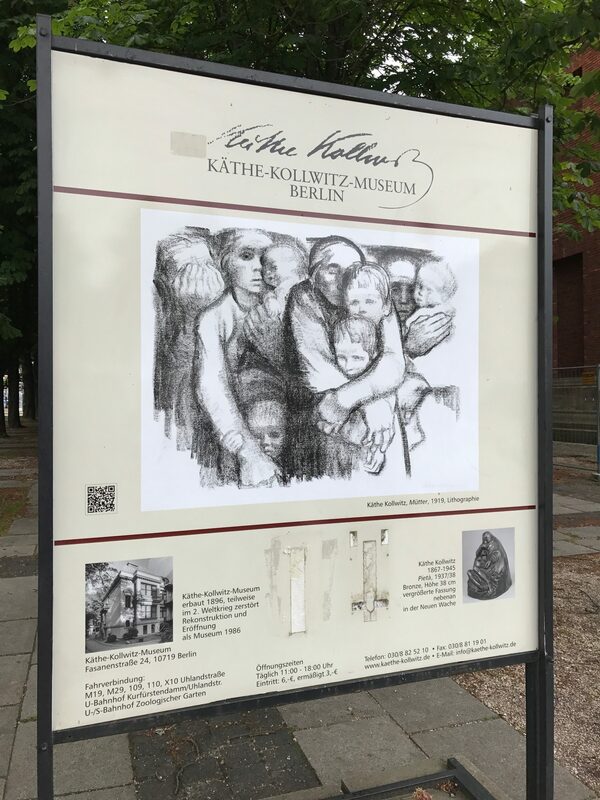 To build on this today, we learned about Käthe Kollwitz, a German artist. Her art depicts poverty, hunger, and working-class struggles. She was the first woman elected to the Prussian Academy of Arts, and had a small museum in her honor. We would’ve visited but, like a lot of Berlin, it was unfortunately closed for renovations. Another famous Berliner, Hannah Arendt, a political theorist and philosopher, has a street named after her. The last woman we saw at the Topographie of Terror was Stella Kubler, a Jewish convert to Christianity turned catcher, who went underground rounding up hidden Jews for the Gestapo. She was an open anti-Semite and was eventually charged with war crimes. Reflecting on the absence of women’s history, they truly are hidden. With a critical eye, you can begin to uncover the stories of these powerful and notable women. As Sidonia Blättler and Irene M. Marti write in “Rosa Luxemburg and Hannah Arendt: Against the Destruction of Political Spheres of Freedom, “Internal contradictions, incompleteness, and obstinacy characterize the work of Rosa Luxemburg as well as that of Hannah Arendt […] Due to their respective Jewish and Jewish-Polish origins, their gender (which they hardly ever mentioned and when they did, only in private) and the prevailing historical-political situation, both women were strangers in a world whose imposing list of identifications they flatly refused.” As a Jewish woman who has grown up in a predominantly Jewish community, I can’t help but to recognize the importance of remembering this history. As Stewart writes, “Rather than focus on the means of ‘forgetting’, ‘obliterating’, and ‘downplaying’ the past’ I focus on the ways in which, despite Gypsy ‘presentist’ rhetoric, the past is ‘remembered’ among Gypsy populations.” Until now, I have never understood the struggle for those who it so closely surrounds to be able to escape this history in order to be recognized as more than it. 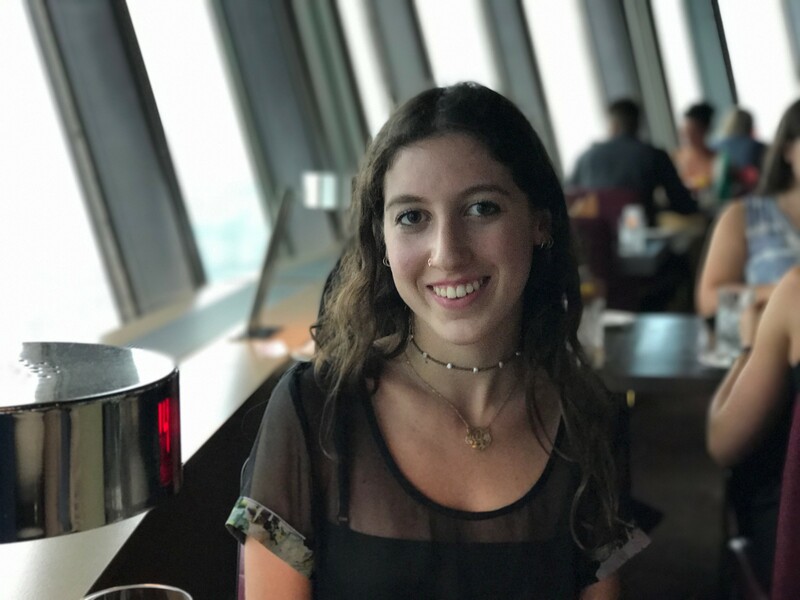 Talia Silverstein is a rising sophomore from Port Washington, NY. She is planning on majoring in Race, Ethnicity, and Migration Studies and double minoring in Political Science and Feminist and Gender Studies at Colorado College. She is passionate about her photography, drawing, and poetry. During her time at CC, she hopes to have more opportunities like this class that allow her to travel, explore, and participate in hands on learning. While in Berlin, she plans on getting lost as much as possible unless it makes her late to class.